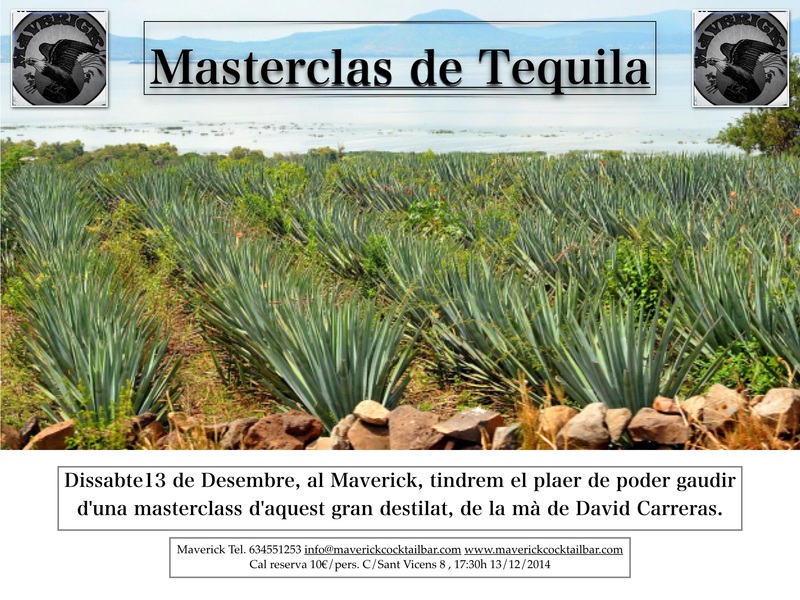 MASTERCLASS DE TEQUILA AL MAVERICK! ENDINSAT A MÈXIC A TRAVÉS D’AQUEST GRAN DESTIL·LAT TEQUILA . DEGUSTAREM LA GAMA DE “SILVER”, “AÑEJO” I “REPOSADO”. MASTERCLASS REALITZADA PER DAVID CARRERAS.